Also see Specifying the Namespaces for Types, later in this book. 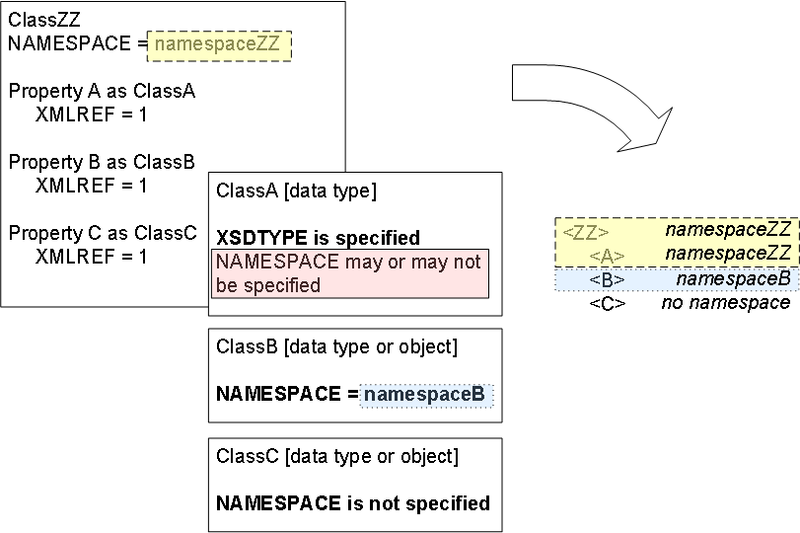 This section provides a refresher on XML namespaces and an overview of how Caché objects are assigned to XML namespaces. 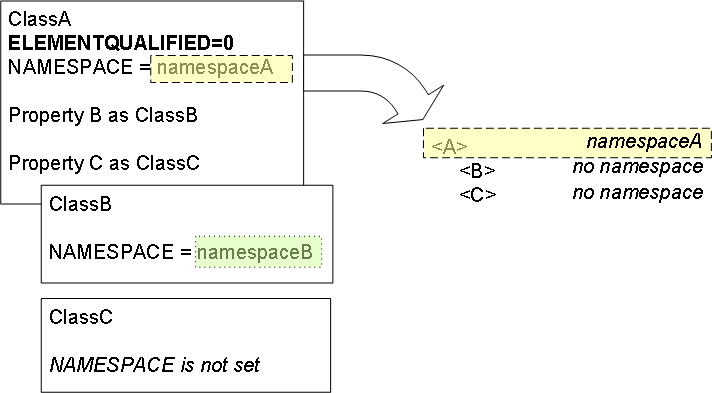 In Caché XML support, you specify namespaces on a class-by-class basis. You use the NAMESPACE class parameter to specify the namespace for instances of that class, as well as its immediate child objects. Also, you use the ELEMENTQUALIFIED and ATTRIBUTEQUALIFIED parameters to specify whether properties of its object-valued properties are global (and belong to the same namespace as the parent) or local. 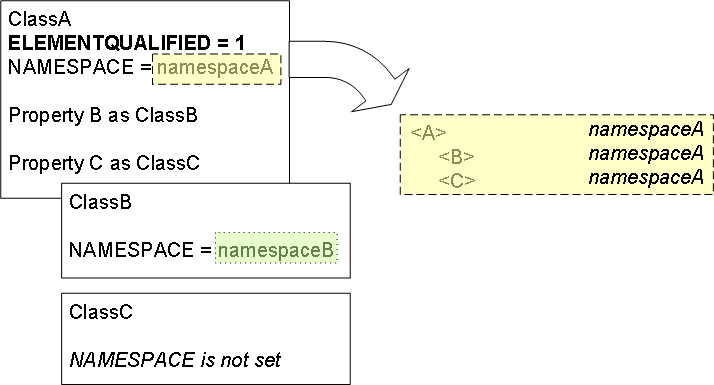 If the NAMESPACE parameter of the class is not specified, the element does not belong to any namespace. You can, however, specify a namespace during export. See Writing XML Output from Caché Objects in Using Caché XML Tools. For information on these formats, see Specifying Format Options for the XML Document, earlier in this book. For information on exporting to XML, see Using Caché XML Tools.